Time frame: 30 min or higher. Bufu Trend Trading System is mainly a trend following system designed for trading forex market. 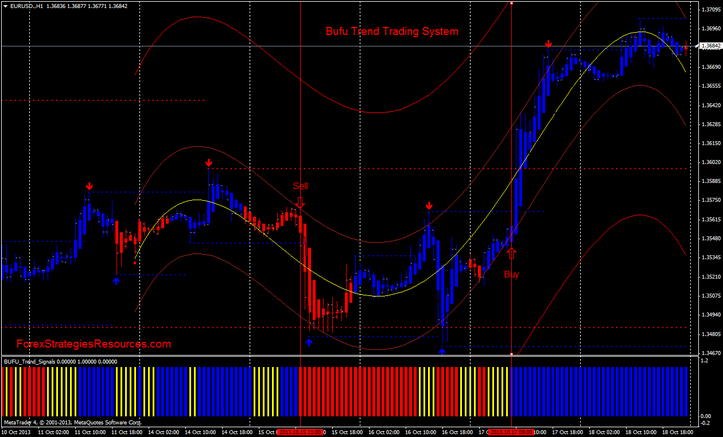 It's based in Bufu trend signals, trend channel (i-regression curve) stochastics candles. Support and resistance indicator:the indicator shows the most powerful support and resistance LEVELS. Blue dots = support/resistance, Red dots = powerful supports and resistance levels.We’re going to use this indicator for stops and targets. suggestions in the form of Red and Blue arrows. 4- Blue Arrow = Entry Signal. 4- Red Arrow = Entry Signal. For stops and targets we’re going to use the support/resistance indicator. 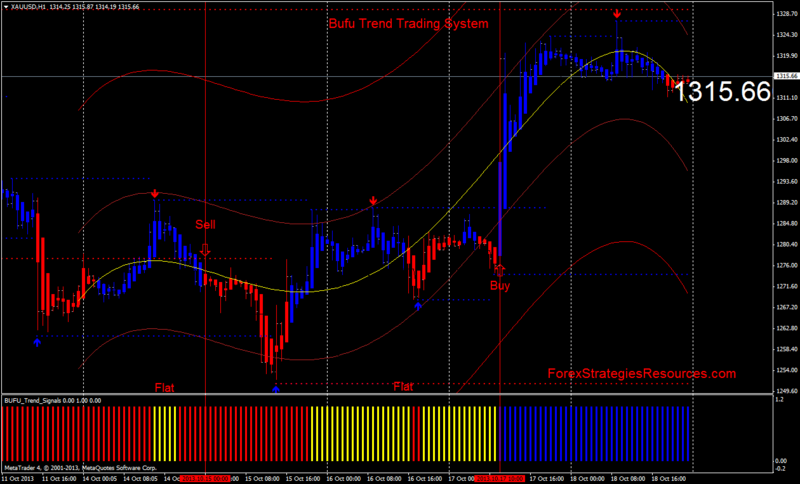 Bufu Trend with Trend Channel.